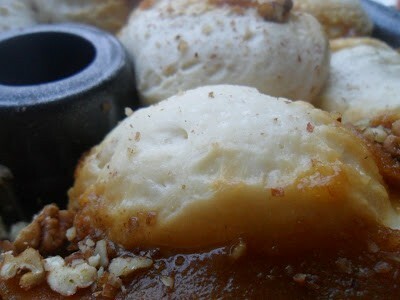 When my kids were young, I would make this gooey treat on Saturday mornings. They always called it “Moms Bubble Bread” This is one of those recipes that proves to those who dare to make it, you don’t need a lot of ingredients for something to taste decadent. This recipe comes to you via my sister Mary. The first time I tried bubble bread it was at her house. I’m pretty sure that between the two of us, we polished off the whole pan. I’ve been making Monkey Bread ever since. The term monkey bread or bubble bread is referring to a “bread” that is formed from pieces of yeast dough and dipped into butter. Bubble bread was popularized in California in the 1940’s. It was a savory bread, served with jam or preserves. In the early 1970’s loaves of dough pieces were dipped into melted butter and rolled in either cinnamon-sugar or brown sugar. Transforming this bread from savory to sweet. Sometimes called Hungarian coffee cake or golden dumpling cake, but has became known as monkey bread. Common names for pieces of dough baked together in a pan include bubble bread, bubble loaf, pull-apart bread, pinch-me cake and monkey bread. According to conventional lore, the term monkey bread comes form its appearance. Staking pieces of bread next too and on top of each other. Like a barrel of monkeys. 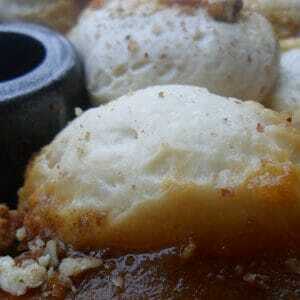 Today, you can find oodles of recipes for both savory and sweet monkey bread aka bubble bread. What started out as a savory bread and soon became super popular as a sweet bread, has now made a complete circle. Monkey bread or Bubble bread is just as popular today as a savory bread as a sweet bread. The variations are endless, and with good reason. 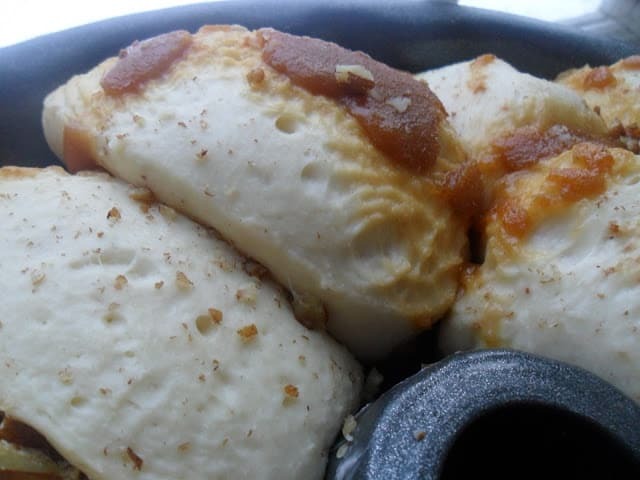 Whether savory or sweet one thing is certain, Monkey/Bubble bread is Yum! Thawed frozen bread dough, topped with butterscotch pudding mixture. 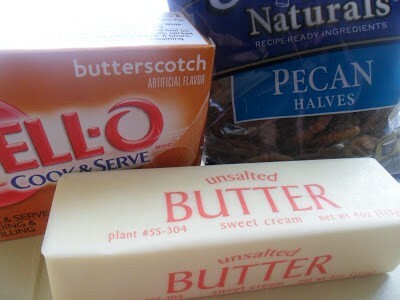 Melt together butter, brown sugar, and dry pudding mix. Bring to boil and boil 1 to 2 minutes. Sprinkle 1/2 cup pecans in bottom of prepared pan. Cut 1 loaf (thawed) bread dough in large pieces. Stagger pieces in pan. Pour half of butter/pudding mixture over dough in pan. Sprinkle with remaining nuts. 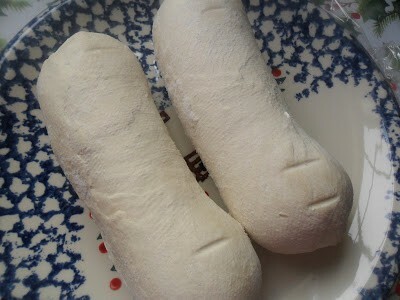 Cut remaining loaf (thawed) bread dough in large pieces. Stagger pieces in pan. 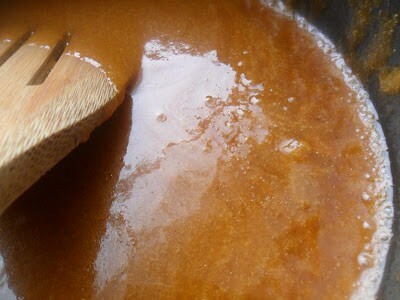 Pour remaining butter/pudding mixture over all. Cover loosely with plastic wrap. Let rise 2 to 3 hours and nearly doubled in size. Bake at 350º for 30 minutes or until golden brown. As soon as it comes out of the oven, turn upside down on a large serving plate. 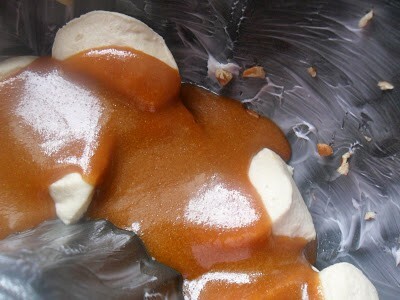 For this recipe we used Jello Butterscotch Pudding, Fisher Nuts and Rhodes Frozen Bread Dough. I love the name bubble bread, and your looks amazing! I featured this on my Link Party this weekend at The Patriotic Pam. Check it out!!! Congrats!